Dr. Harry Saag was born and raised in Birmingham, Alabama. He received an Economics Degree from The University of Georgia and subsequently returned to his native Alabama where he received his medical degree from The University of Alabama – Birmingham before moving to New York where he completed his residency training in internal medicine at NYU School of Medicine and subsequently served as a Chief Resident. 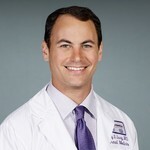 He now practices as a hospitalist at NYU Langone Health and serves as the Medical Director for Network Integration and Ambulatory Quality across NYULH’s 190 practices made up of academic faculty group practices and 9 Federally Qualified Health Centers working to improve quality, reduce costs, and increase patient and staff satisfaction. In this role, he helps design ambulatory quality metrics for the enterprise as well as assists in strategizing how NYULH will optimize its performance in a hybrid value-based and fee-for service environment. This lecture will describe NYU Langone Health’s approach to optimizing its performance in its value-based contracts while still living in a predominantly fee-for-service world. NYULH’s ambulatory network encompasses over 200 sites consisting of an Academic-based Faculty Group Practice as well as a Network of Federally Qualified Health Centers. NYULH engages in value-based contracts across commercial, medicare advantage, and medicaid payers with close to 400,000 attributed lives in a variety of shared-savings and global-risk contracts. This lecture will describe NYULH’s approach to setting up the care delivery infrastructure to succeed in these new payment models. Specifically, we will discuss NYULH’s approach to quality, care coordination, and predictive analytics as well as innovative strategies being implemented in all three of these domains. Saag, MD, Harry, "Approaching Value-Based Contracts at an Academic Medical Center" (2018). College of Population Health Forum. Presentation 126.